In recent years, companies have moved their budgets to cloud for several reasons. First of all, cloud-based budgeting software is less expensive than on-premise products. Smaller companies also lack the infrastructure and IT staff to manage the complicated infrastructure of on-premise software. Online business budgeting tools are a great option for any business that wishes to manage their budgets in a streamlined and organized way. These next generation tools focus on the keyword “intuitive” and require fewer specialized training, meaning that they’re easy-to-use and can be implemented more quickly. Moreover, the online software providers release product updates as often as every two months, ensuring that your software is up to date. Companies that use Excel for managing their budgets are far more likely to make mistakes as close to 90% of spreadsheets contain errors. If you’re looking to move your budgets out of Excel or simply bring more structure, find your new software from this list that outlines the perks and benefits of each. We’ll start with the most widely used and universal budgeting software and move on to smaller niche tools, to help you find exactly the right tool to manage, plan, and forecast your company’s budgets. Scoro combines budgeting features with other tools to manage your entire company in one system. 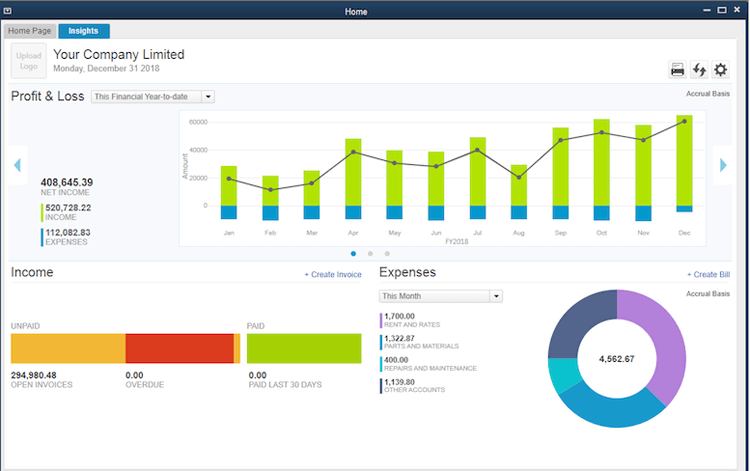 You can also manage expenses and resources, use a financial dashboard, and manage project budgets. 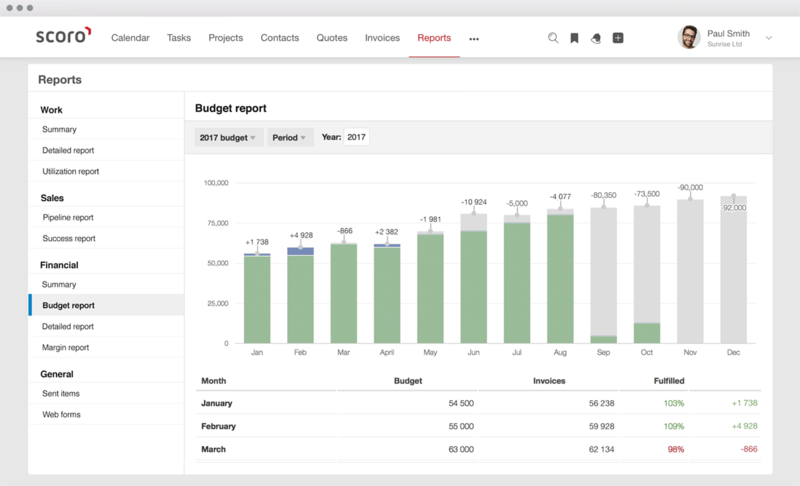 What’s special about this tool: Scoro combines the tools for budgeting, CRM, and project management so that you can manage your entire business in one solution and access all the financial data in one place. Pricing: From $26 user/month, 14-days free trial. 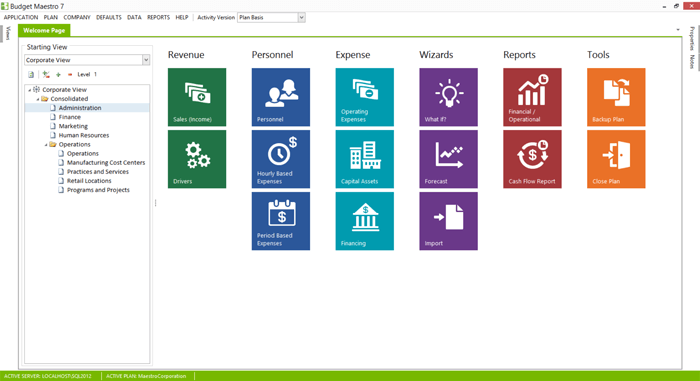 Centage is a comprehensive enterprise budgeting software provider that offers different tools called Maestros for budgeting, forecasting, financial reporting, etc. If you’re looking for a highly comprehensive solution, Centage might be the answer. What’s special about this tool: Centage integrates with other widely used enterprise management software like SAGE, Dynamics and QuickBooks. 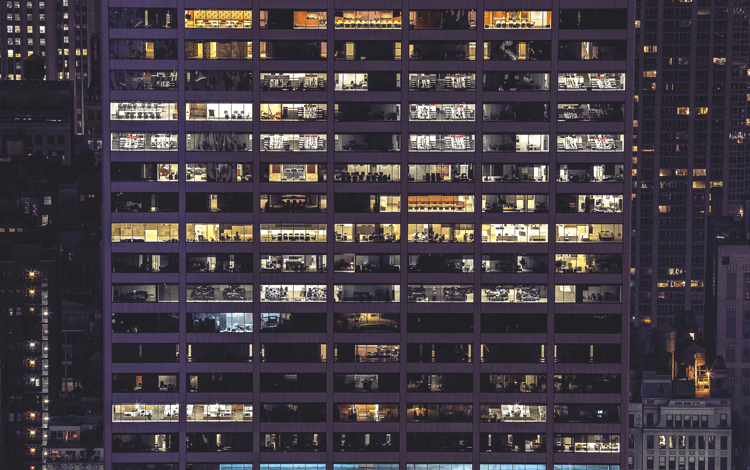 Prophix says it has created a software solution for corporate performance management, which means that it includes many smaller tools for managing a company’s resources and planning it’s budgets. 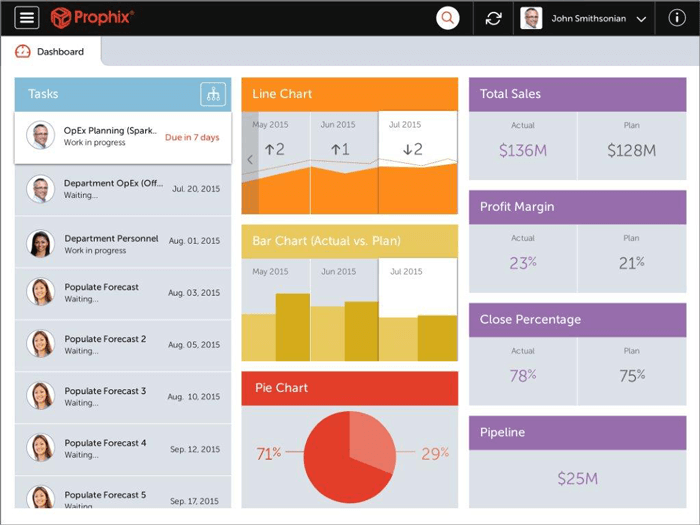 What’s special about this tool: Prophix wants to offer its users a wholesome product that scales as the company grows. Float is an easy-to-use cash flow forecasting and budget management software that integrates seamlessly with other tools like Xero, Quickbooks Online and Free Agent. 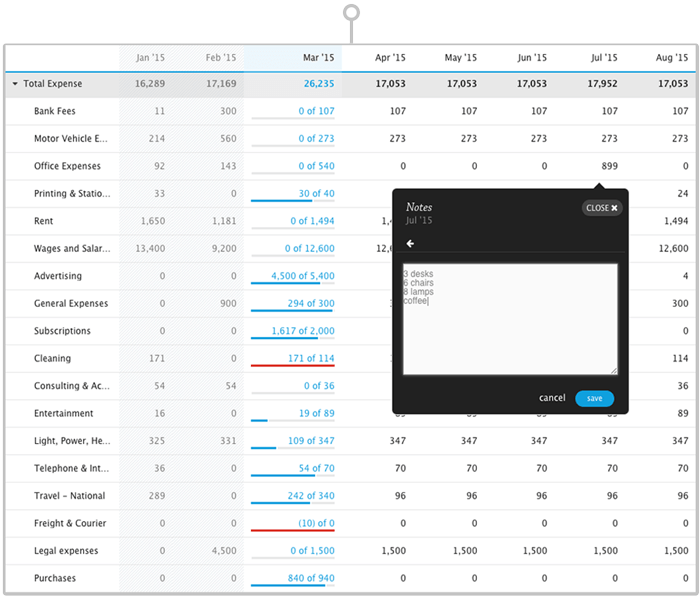 What’s special about this tool: Float is a highly visual and nice-to-use tool that helps to bring more clarity to your company’s budgets and cash flow. Compared with Centage and Prophix, Planguru is a more simple budgeting software solution, which might be exactly what you’re looking for to manage your small company’s budget. 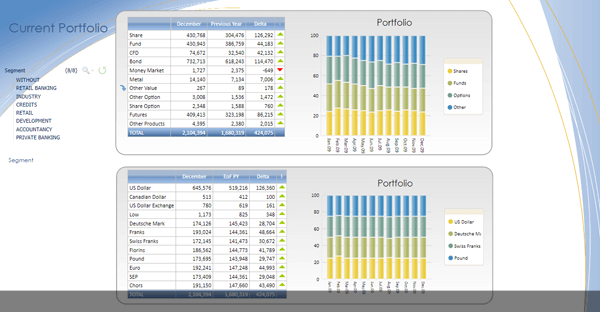 What’s special about this tool: Planguru has a separate analytics tool that helps to get a better overview of financials and make better decisions. GIDE helps companies combine budgeting, strategic planning and rolling forecasts, while consolidating projects/companies and business departments within one comprehensive corporate performance management platform. What’s special about this tool: GIDE promises a fast implementation process of two weeks compared to the average of 8 weeks of budgeting software implementation. With Maxiplan’s cost-effective budgeting solutions, organizations can move beyond the chaos and complexity of spreadsheet-based processes to more effectively plan and track financial performance. What’s special about this tool: Maxiplan challenges companies struggling with Excel spreadsheets to move their business into a more organized solution. Tagetik is a simple business budgeting software solution that helps to bring more structure into budgeting and forecasting. What’s special about this tool: Tagetik promises to give you the ease of Excel, the flexibility of the cloud, and the power of built-in financial intelligence. 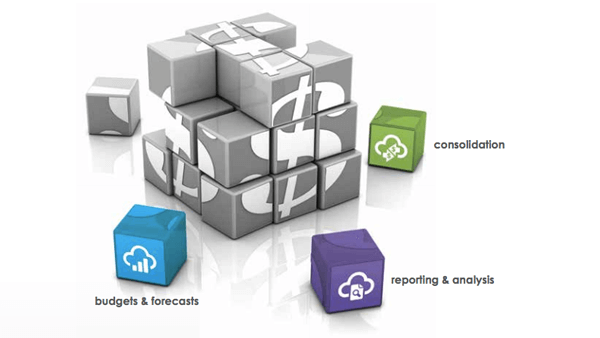 Adaptive Insights is a comprehensive tool offering cloud-based budgeting and forecasting software combined with reporting and analytics features. 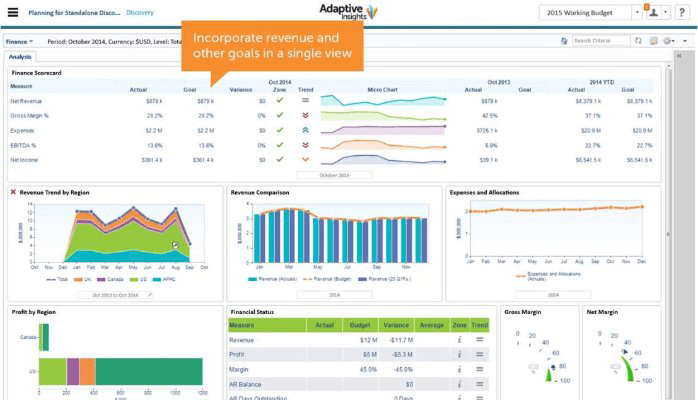 What’s special about this tool: Adaptive Insights has a visual financial reporting and dashboard tool that gives a quick overview of company’s financial performance. 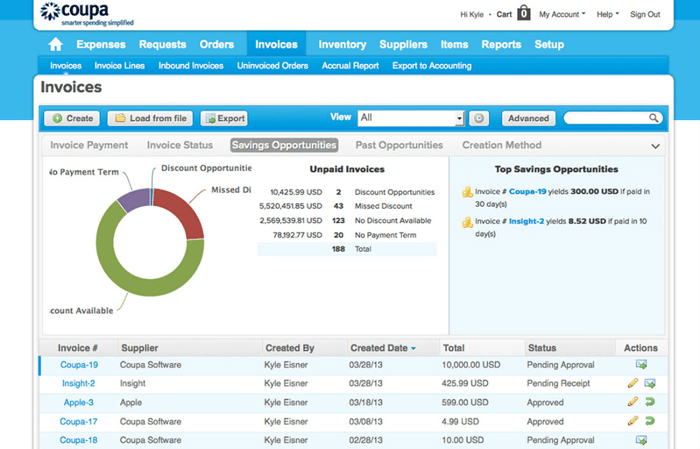 Coupa is a simple budget management tool that helps to inform every team member about real-time results and budgets. 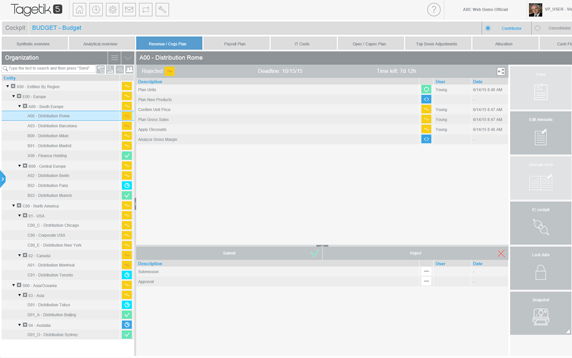 It’s part of a more comprehensive Coupa management suite. What’s special about this tool: Coupa calls itself a Savings-as-a-Service solution. It also has a spend and expense management suite to complement your budgeting. 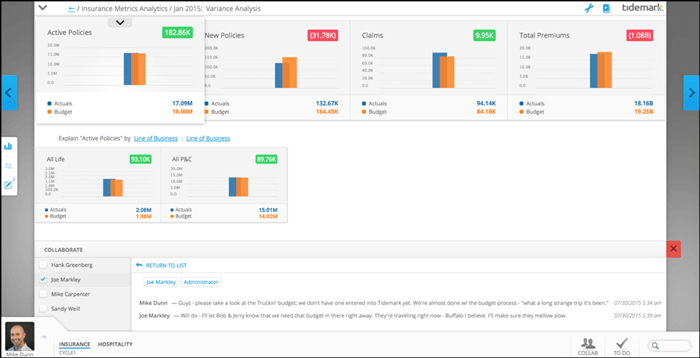 Tidemark is a single-platform analytics suite that provides tools for extensive budget planning and result tracking. What’s special about this tool: Tidemark has a great tool for people and resource management that helps to keep track of non-financial measures as well. Neubrain differs from all the aforementioned tools in that it only focuses on analytics. It acts as a connector of all other financial tools such as QL, SAP, Oracle, PeopleSoft, Dynamics GP, Great Plains, ADP, Excel and more. 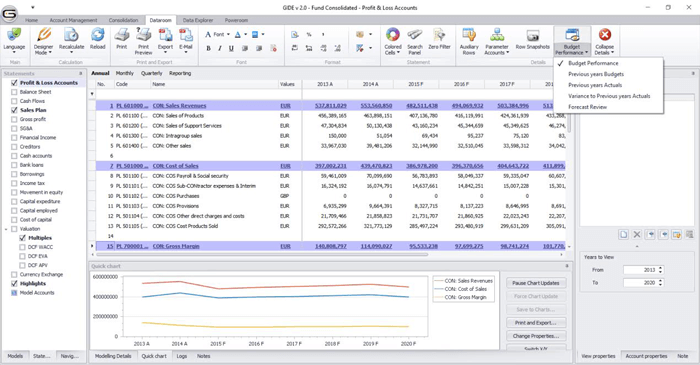 What’s special about this tool: Neubrain budgeting analytics software makes your financial data tell a story and helps to make long-term decisions that pay off. 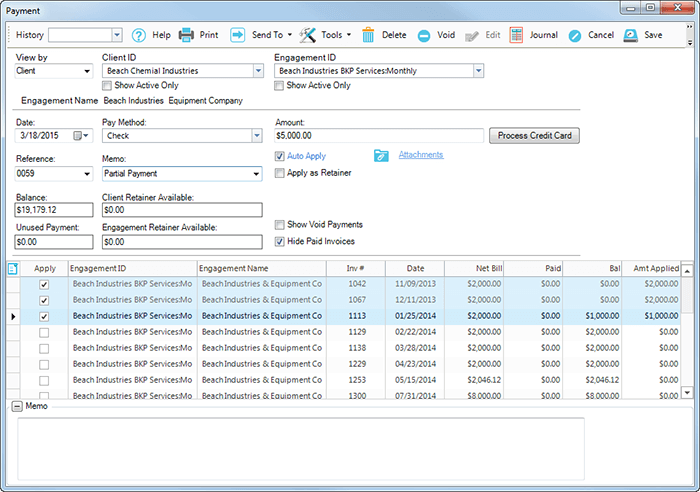 BillQuick is a business budgeting tool that facilitates budgeting even if you’re not near a PC. This tool helps both with budgeting, invoicing, and project management, making it a great fit for creative teams. What’s special about this tool: BillQuick is all about employee productivity. It has a tool called Employee Workload Forecaster that helps to get a better overview of your workforce and allocate budgets accordingly. QuickBooks is a popular small business accounting and budgeting tool used by accountants all over the world. It provides various features from expense tracking to invoicing, helping companies to get a complete overview of their budgets and forecasts. What’s special about this tool: QuickBooks is 100% focused on efficient budgeting and expense management. This means that it has great features that cover everything you need. As always, we would like to hear about your favorite budgeting tools and software. 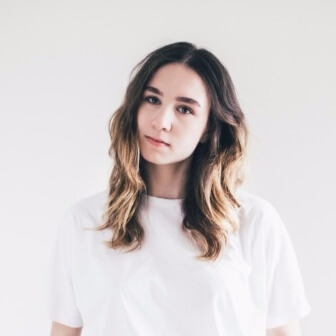 Make sure to leave a comment!